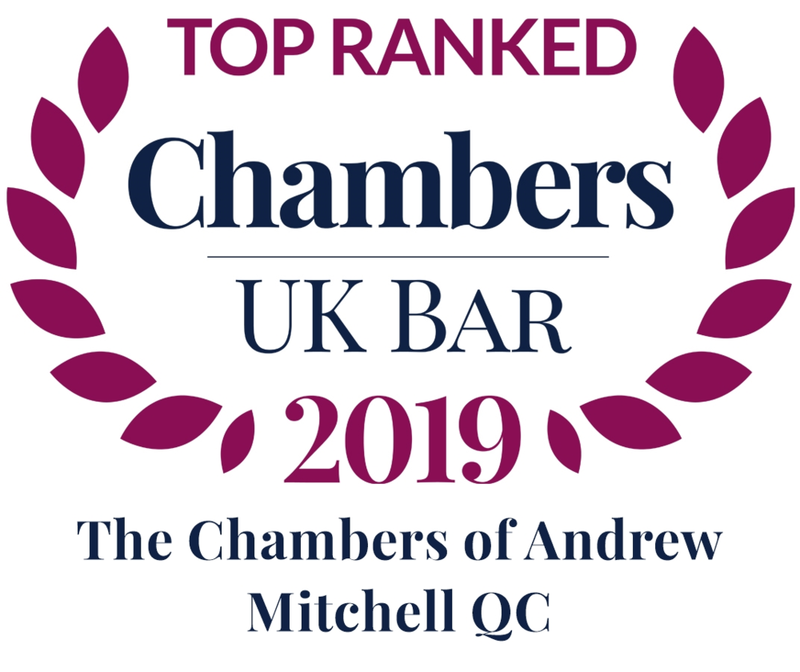 Chambers again performs very well in the Legal 500, recommended in Business and regulatory crime (including global investigations), Fraud Crime and in Proceeds of Crime Act and Asset forfeiture. Individuals are also recommended in these sections as well as Ian Smith in the Civil Fraud section. The ‘very approachable’ boutique chambers 33 Chancery Lane is a ‘market leader in the niche of white collar crime’ and ‘certainly leads in POCA and asset forfeiture cases’. ‘The set also excels in high-profile fraud cases and has brilliant silks and juniors straddling both areas’. Practice director Martin Adams is ‘bright, proactive, extremely responsive and good to get on with’. With deputy practice director Chris Chiles and second deputy practice director Oliver Carroll by his side, Adams ‘provides a first-rate service to solicitors’. 33 Chancery Lane’s members, alongside the set’s primary reputation for proceeds of crime, handles a range of heavyweight work concerning corruption and interest-rate rigging. Amanda Pinto QC and Christopher Convey represent a former Barclays rate submitter accused by the SFO of manipulating her submissions to the calculation of Euribor. ‘Undoubtedly number one in this practice area’, 33 Chancery Lane ‘certainly leads in POCA and asset forfeiture cases’. The set had a large number of members involved on various sides of confiscation proceedings in the wake of the conviction of Ketan Somaia, who was found guilty of various forms of fraud and subjected to a £20.5m confiscation order. The matter went to the Court of Appeal to consider whether confiscation was possible after a privately-prosecuted conviction (Kennedy Talbot QC, Catherine Collins and Ian Smith for the prosecution, Penelope Small for the defendant, and Martin Evans QC, Barry Stancombe and Fiona Jackson for various third parties). In addition, eight members, including some of the aforementioned, have been involved representing parties such as the Serious Fraud Office in multi-jurisdictional litigation concerning Gerald Smith, who was convicted in 2007 of a £35m fraud. Best known for its confiscation prowess, 33 Chancery Lane also handles a range of fraud cases, including Ponzi schemes, boiler rooms and money laundering, including pre-charge advice. Andrew Mitchell QC continues to act for the prosecution in the corruption and fraud trial of large swathes of the Turks and Caicos Island elite, while Faisal Osman was instructed as junior for the first defendant in Operation Amazon. Keith Mitchell - ‘His biggest strengths are his advocacy and pastoral care of clients. “Recent developments in commercial crime investigations acknowledge that a more global response is necessary to combat fraud. They also show a trend away from a reliance on mutual legal assistance — co-operation between states to obtain evidence through diplomatic channels — which can be cumbersome and slow. In a recent case the Serious Fraud Office (SFO) served section 2 notices requiring production of material held overseas by the foreign parent company of a corporation that it was investigating. The parent company argued that the SFO’s jurisdiction did not extend this far. The court, however, held that a section 2 notice is lawful, even in the case of a foreign company, as long as there is a “sufficient connection” between the company and the UK. The court acknowledged that it was a “strong thing” for the law of state A to infringe the sovereignty of state B by requiring a citizen of state B on B’s territory to take action, under threat of criminal sanction in state A. Nonetheless, because documents relevant to an investigation of a UK company were increasingly likely to be held overseas by foreign companies, the power of section 2 would be frustrated — and the public interest not served —if a foreign company could refuse to provide documents on grounds of jurisdiction, that is, simply because they were overseas. The court did, however, set some limits: it ruled that neither the fact that the company was the parent company of a UK company, nor that it had co-operated with the SFO, was enough, on its own, to demonstrate a sufficient connection. The second ruling must be policy-based: it would clearly be contrary to the public interest to penalise a company for co-operating with the authorities. In practical terms, therefore, a foreign company complying with an SFO section 2 notice without challenging the “sufficient connection” may now be seen as a valuable hallmark of co-operation. Other agencies (such as the Financial Conduct Authority and National Crime Agency) are likely to adopt a similar approach to their compulsory powers. There have been other developments. Under the Crime (Overseas Production Orders) Bill 2018, if passed, a court would be able to grant an order requiring an overseas service provider to produce or allow access to electronic information stored overseas for the purposes of investigating serious crime, obviating the need for mutual legal assistance. The Court of Appeal in the recent ENRC appeal, confirmed the principle of legal professional privilege and, criticising the current narrow definition, Sir Brian Leveson referred to the undesirability of the UK being out of step with other common law countries when so many multinationals operate across borders. Finally, the SFO’s new director, Lisa Osofsky, has emphasised her intention to liaise closely with foreign law enforcement agencies. She has already appointed a former prosecutor, Peter Pope of the US law firm Jenner & Block, to build and consolidate relationships with the US authorities. She also emphasised that she wants to encourage co-operating suspects to come forward. Each of these steps reflects an awareness that modern crime, and the globalisation of financial wrongdoing, fraud and corruption in particular, now require a different approach to cross border investigations.